Performers include: Chris Vance, Andrea Osvárt, Charly Hübner, François Berléand, and Delphine Chanéac. Based on the Transporter feature film series, this action-adventure TV show follows Frank Martin (Chris Vance), a professional “transporter.” He’s paid to pick up and deliver people or cargo from anywhere in the world. He’s the very best at what he does. Martin handles only the most difficult and dangerous of assignments — and only trusts a handful of people. A former CIA agent, computer expert Carla Valeri (Andrea Osvárt) negotiates with Martin’s clients and provides him with all the information he needs. Technology expert and mechanic Dieter Hausmann (Charly Hübner) alters and repairs Martin’s special Audi as needed. Inspector Tarconi (François Berléand) is Martin’s reluctant police officer ally. Stationed in Nice, Tarconi once investigated him but they’re now friends. Tarconi takes care of his house in Cap Roux when Martin is on a mission and Martin turns to him when he needs an official police intervention. Martin’s group of friends begins to grow when he meets Juliette Dubois (Delphine Chanéac), his beautiful neighbor. Unbeknown to him, she’s a DCRI agent who’s investigating the Transporter network. She’s torn between her sense of duty and her growing attraction for Martin. In order to save the life of Zara, a woman he once loved, Frank is coerced into trying to procure a cyber bomb powerful enough to destroy an entire country’s infrastructure. Certain they’re being set up, Caterina refuses to go along with the job and quits in protest. But as Frank prepares once again to face off against the deadly Bernard Dassin (Dhaffer L’Abidine), Caterina makes a discovery that could potentially to turn Frank’s world upside down. First aired: February 7, 2015. What do you think? 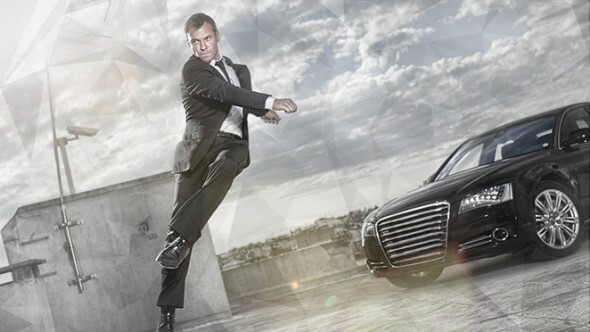 Do you like Transporter: The Series? Do you think it should have been cancelled or renewed for a third season? It’s not done yet. They should have renew it. When I watched the end of season 2 finale of transporter the series, Frank and the buy guy who hits each other driving cars. What kind of **** is this? Why is it cancelled? I think it’s not done yet. They should have renew. please renew it was a very compelling plot. It was excellent acting.I want to see third season. Renew please! Great show-very compelling plots, cast excellent. I did not see Transporter, The Series when it was running. I found it on Netflix and have been enjoying them. Bring it back with the same crew. Renewed. Is Caterina dead, did he and Dassin crash into each other and died or he swerved at the right moment and found out he have a son.